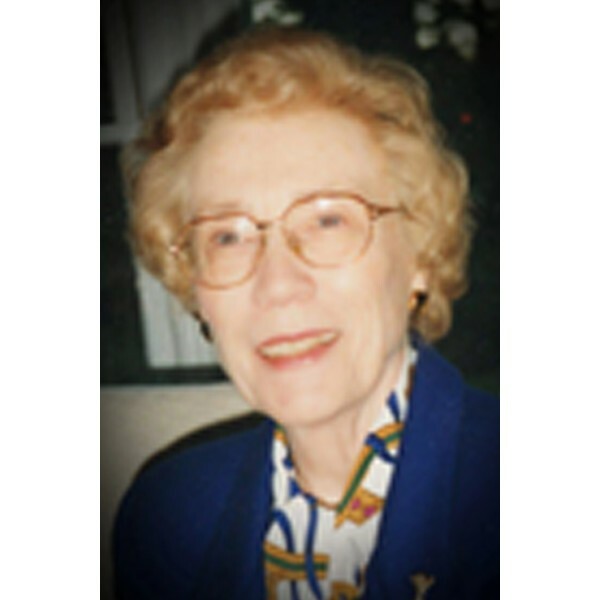 Rosaline Jenkins Gilmore Burt, age 92, passed away Thursday morning, February 7, 2019, surrounded by her daughters at Tranquility Hospice, in Marietta. She was born at Emory Hospital, in Atlanta, Georgia, on January 10, 1927, to the late Rev. Arthur Louis Gilmore, and Rosaline Jenkins Gilmore. She was a life-long member of the Methodist Church. She lived in many places, beginning in LaGrange and Atlanta, in the Emory area. Her father attended and graduated from seminary to serve as a Methodist pastor when she was young. They moved several times during her childhood and teen years, because pastoral appointments typically changed every 4-6 years. She and her family lived in Many, LA; Lafayette, LA; Thomson, GA; and Thomaston, GA. When she was six years old, her brother, John, was born. As a family, they loved music and outdoor recreation. They would often join around the piano to sing in the evenings. They also sang at many church services, public events, and ceremonies. Her family presented a weekly Sunday radio program while they served at one her father’s churches. During the radio programs, her father presented a sermon, her mother played piano, and she and her brother sang. Growing up, her family shared many happy times with her aunt, uncle, and first cousins, the Reces. Together they were a tight knit group that shared an abundance of life experiences. She spoke often of the love they shared. In the spring of 1944, she graduated from Robert E. Lee High School, in Thomaston, GA. The following year, she followed in the footsteps of her mother and her aunt by attending Wesleyan College in Macon, GA. During her years at Wesleyan, she studied music and vocal training, served as president of the Glee Club, Vesper Choir Director, and St. Cecelia Music Guild President. She also participated in French Club, Fine Arts, YWCA, and Senate. A couple of her college summers were spent in classes at Emory University. Other summers were spent at Camp Glisson, in Dahlonega, GA, with her family. She served as a camp counselor, while her father’s pastoral appointment rotation included overseeing and directing the camp. In 1948, she graduated from Wesleyan College with a Bachelor of Arts degree in English Literature and a Minor in Christian Education. After college, she was employed as the Director of Youth at Broad Street Methodist Church in Cleveland, TN, followed by St. John Methodist, in Augusta, GA. She remained in Augusta until the family was impacted by the sudden death of her brother due to and unknown heart defect. He was 18 years old, and he passed one month after graduating from high school. After his death, she moved to Atlanta to be closer to her parents and worked for the YWCA (Young Women’s Christian Association), as Assistant Teen Director. She met Frank Burt at Atlanta First Methodist Church. After dating for over a couple of years, they were married at that same church on March 17, 1956. Shortly before the birth of their first daughter, Rosaline “Lin,” they moved into their first house on Windsor Parkway in Sandy Springs/Atlanta, GA. While living there, they were active members of St. James Methodist Church on Peachtree-Dunwoody Road. Eighteen months later, they welcomed their second daughter, Joanna, and six years later, their third daughter, Ellen. In 1967, the family moved to her husband’s hometown of Kennesaw, and they joined Kennesaw Methodist Church. They were members of the George Skelton Sunday School Class, and she was a member of the Bessie Carrie Circle. Rosaline enjoyed being a mother, raising her daughters, and caring for their friends. She created a home where the neighborhood children enjoyed visiting. She often visited with her parents, and outside of the home, she was active in Wesleyan Alumnae groups, choirs and choral groups, women’s ministry groups, and community groups. Her mother passed away in 1977. Following her divorce from Frank Burt in 1980, she remained in Kennesaw until 1985, when her youngest daughter graduated from high school. She moved back to the Atlanta Emory area to be closer to her elderly father. She was an active member of Glenn Memorial United Methodist Church, where she enjoyed being near friends she had known since childhood. She also was employed by Cokesbury Bookstore for several years. As her grandchildren began to arrive, she was thrilled with her new phase of life. Between 1990 and 2011, she was excited to welcome each of her eight grandchildren. After her father passed away and she retired from Cokesbury, she moved to Woodstock, GA, in 2001, to be closer to them. 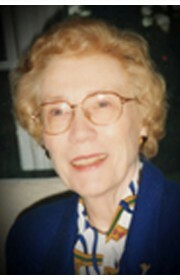 She enjoyed babysitting and attending family gatherings, birthday parties, recitals, baseball games, and special events. Several years later, she returned her church membership to Kennesaw United Methodist. Other interests, throughout her years included: attending opera and symphony concerts with friends, Wesleyan alumnae weekends, reading, writing stories, and traveling to Alaska, England, and Yellowstone National Park. She remained in her home until a month before she became ill. She lived a very sweet and gracious life. She developed numerous close friendships from childhood, youth, and throughout her adult years which she nurtured and maintained. She followed her faith, and she had a kind word and opinion of everyone she met. She was a genuine, loyal friend, and dearly loved by many. She was preceded in death by her mother, Rosaline Jenkins Gilmore, her father, Arthur Louis Gilmore, and her brother, John Louis Gilmore. She is survived by her daughters and sons-in-laws: Rosaline “Lin” and Karl Cason of Woodstock, Joanna and Edward Burdell of Marietta, Ellen and Bobby Baker of Marietta; cousin, Ellis Rece; and 8 grandchildren: Matthew Cason, Elizabeth Cason, Frank Burdell, Sophie Burdell, Stephen Cason, Maggie Burdell, Cassie Baker, and Emma Baker. A funeral will be held on Sunday, February 17, 2019, 2:30 PM, at Kennesaw United Methodist Church, Kennesaw, GA. Visitation will be held on Saturday, February 16, 2019, from 4 - 7 PM, at Georgia Funeral Care Care & Cremation Services, 4671 S. Main St. Acworth, GA. There will also be a visitation at the church prior to the funeral at 1:30 PM. 0 Comments To "Rosaline Jenkins Gilmore Burt"